The Beaufort History Museum is admitting visitors free of charge from 10:30 a.m. to 3:30 p.m. on June 30 as part of the Liberty Week Festival. The festival, June 28-July 4, is a statewide commemoration of South Carolina’s contribution to the Revolutionary War, organized by the S.C. Historical Society with the help of a grant from SC Humanities. This year, the Beaufort County Historical Society and partner organizations are joining the fun, as well. Beaufort History Museum visitors do not need to reserve a spot or make any special arrangements – simply show up during operating hours Friday, June 30, for free admission. Other Beaufort County organizations are also hosting free events, including the Beaufort County Public Library, where the week kicks off at 2 p.m. June 28 at the downtown Beaufort branch with a presentation by Doug Bostick of the S.C. Battleground Trust. The following organizations are also offering free admission as part of the Liberty Week Festival. Call or check their websites for details. Friday, 10:30 a.m. to 3:30 p.m. Historic Beaufort Foundation’s John Mark Verdier House. The Beaufort History Museum’s Third Annual Spring Tea is titled “Crowning Glory – Celebrating the Role of Women’s Hats in Southern Culture”. Patrons are invited to wear their favorite hat and to “Strut their Hattitude” as they savor delicious traditional delicacies, sip tea, learn about the fascinating allure of fashionable hats from celebrity speakers, enjoy a Parade of Hats and bid at a silent auction featuring trips, dinners and other attractive items. “Hats are really the stars this year,” says BHM Board President Carol Lauvray. The Tea is scheduled for Wednesday, May 10, from 1-4 pm at the Dataw Island Club’s scenic Carolina Room. Reservations can be made at http://tea.beauforthistorymuseum.com. Individual tickets are $60 and tables of 10 are available for $500 (see the website for restrictions and instructions to reserve a table.) Seating is limited. Proceeds benefit the projects of the Beaufort History Museum. For the first time the Museum is hosting a silent auction at the Tea to include trips, dinners, cooking classes, tastings, luxury services and other attractive items available for bidding. A preview of the auction items will be posted on the Museum’s website with a “Buy it Now” option. Guests will also be able to view the items, choose the ones they like and then bid with cash or credit cards at the event. The principal speaker at the Tea is celebrity shoe designer and milliner Etu Evans, who will be coming to Beaufort from New York. His grandmother and mother, both of whom had extensive collections of church hats, jewels and shoes, influenced Evans’ path in the fashion industry. An internationally prominent designer, he studied millinery at New York’s prestigious Parsons School of Design and the Fashion Institute of Technology where he graduated with an Associate’s Degree in Footwear and Accessory Design. Evans’ hats have been sold in his Harlem boutique and worn across Europe and Japan and have been featured in various national television shows and publications. For a featured auction item he will offer one lucky bidder a consultation on the most flattering hat styles and correct size for the shape of her face and stature. The famous Goorin Brothers Hat Company, founded in 1895, which has stores across the U.S. and in Canada with local shops in Savannah and Charleston, will also be a part of the program. Hats and accessories will be on view along with advice on how to choose the perfect hat. The Clark Troutman Group, Merrill Lynch Wealth Management is sponsor of the Third Annual Beaufort History Museum Tea along with Live Oak Builders and the Carolina Cup Racing Association. Additional sponsorship opportunities are available and may be arranged by contacting Lauvray by email clauvray@beauforthistorymuseum.com. To join the Museum please visit the website at www.beauforthistorymuseum.com. To learn more about becoming a Volunteer Greeter or Docent please contact Lorrie Burleynoles at lburleynoles@beauforthistorymuseum.com. Hear about Harriet Tubman’s (aka, Araminta Ross) life as a slave, her escape to freedom, and her work with the Underground Railroad. You’ll learn how she helped to liberate hundreds of Lowcountry slaves in the Combahee Raid during the Civil War and about her work after the war as a humanitarian, suffragette and friend to the indigent. Andrea is a member of the historic Tabernacle Baptist Church in downtown Beaufort, where she is a musician for the Senior Choir and serves asSunday School Superintendent. She retired in 2015 from the Coastal Empire Community Mental Health Center, as the Assistant Director for a five-county area, after serving 37 years in the SC Department of Mental Health. She joined the Board of Directors of the Beaufort History Museum in January 2016. The lecture will cover the origin of the Gullah natives primarily located along the coastal areas of South Carolina and tell why they were concentrated in large numbers on various isolated islands such as Dafuskie, Johns Island, Kiawah, Port Royal and Wadmalaw. Saint Helena has the largest number of Gullah natives (6, 500) where a strong culture still exists. Learn about their arrival as slaves through the Port of Charleston, how they were dispersed throughout the state, how their labor contributed to the wealth of the Planters and what exactly happened to these natives after the “Big Gun Shoot” (The Battle of Port Royal Sound) on November 7, 1861. Questions will be answered. How did they acquire the lands they now live on? What was the importance of the Praise Houses? How did the language develop? Discussion will include what makes up a culture and how is it expressed among the Gullahs. This is a lively presentation, which explains how their practices evolved into what is referred to as Gullah History and Culture. Lecturer: Mary Rivers LeGree is a native of Saint Helena Island. Her early years were spent on the Rivers' family compound among her parents and other relatives. She was educated in NYC and University of Detroit (BA). After retirement in 2004, Ms. LeGree returned to Saint Helena Island and lives on the property that had been purchased by her ancestors shortly after the Civil War. She is eager to share their untold history and their practices from a genuine perspective, having been brought up in the culture. She is a past Planning Commissioner for Saint Helena District, and serves as a member of the Saint Helena Community Preservation Committee. The legacy of much-loved Beaufortonian Abbie Holmes Christensen will be in the spotlight on Tuesday, March 14, when the Beaufort History Museum presents a talk as part of its popular history lecture series. The lectures, created in partnership with the Beaufort County Library, have been filled to capacity and pre-registration is required for seating. The lectures are free to the public but space is limited, so please pre-register here. Hear Anne Christensen Pollitzer talk about her great grandmother Abbie Holmes Christensen and her legacy. Christensen came to Beaufort during the Civil War with her Abolitionist parents and made a lasting impact through her educational, business and civic contributions. She was an abolitionist, civic leader, businesswoman, and founder of the Port Royal Agricultural School, as well as an activist for the temperance, suffrage and civil rights movements. Pollitzer, a fifth generation Beaufortonian, was a teacher for 34 years and founded the Montessori School in Beaufort. Carroll Christensen Sommerville Eve, Pollitzer’s cousin, will join her in sharing her own personal memories of growing up in Beaufort with her grandmother, Abbie Holmes Christensen. The Beaufort History Museum will present the second edition of its popular Living History Encampment on Saturday, March 4, 2017 from 9 am – 5 pm in the Arsenal courtyard. 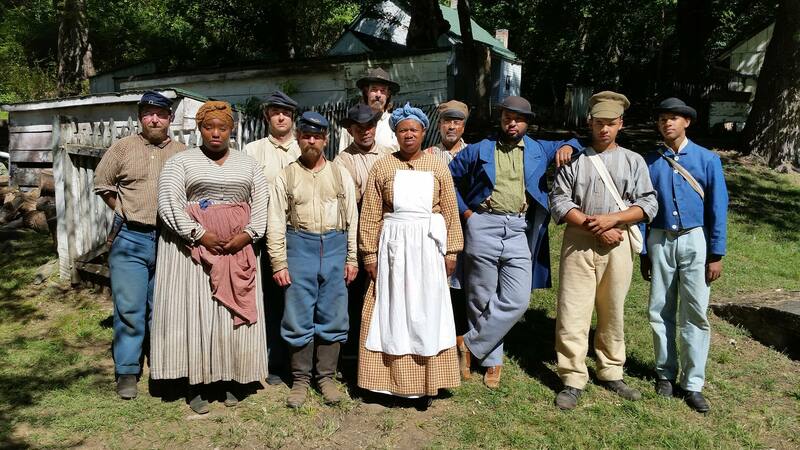 Union forces that occupied Beaufort during the Civil War after the Battle of Port Royal Sound (Nov. 7, 1861) will be brought to life by more than 20 re-enactors arriving from several states. They will stage an encampment in the walled courtyard space and provide a unique opportunity for visitors of all ages to interact with the soldiers, to participate as soldiers themselves and receive orders to join regiments, and to learn firsthand how life was lived in Beaufort during the Civil War. The Museum is partnering with other Beaufort organizations, including the Beaufort County Library, to plan and conduct the weekend’s educational events. Admission is free and donations will be accepted. 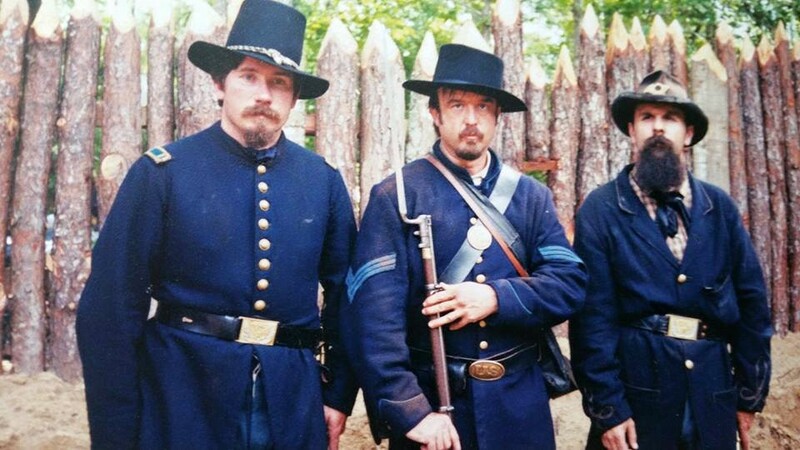 On Saturday, March 4, from 9 am – 4:30 pm, re-enactor David Smoot, portraying a Union Army physician, will conduct talks at the Library about medical treatment during the Civil War. The Beaufort History Museum has evolved to focus specifically on the history of the Beaufort District. It strives to manage and display artifacts and documents held by the City of Beaufort, telling the compelling stories of this area from the early 16th Century until modern times. Docent classes are conducted on an ongoing basis. The Arsenal address is 713 Craven Street. Normal BHM hours of operation are 10:00 am – 4:00 pm, Monday – Saturday. Docents are on duty to provide information and conduct tours. A donation of $7.00 per visitor ($6.00 for Seniors) is required. Children and active military are admitted free of charge. Please visit www.beauforthistorymuseum.com or the BHM Facebook page for updates and news from the Museum. Beaufort, SC (Feb. 8, 2017) — Researching the genealogy of former slaves and their descendants can pose challenges, but two experienced researchers will provide tips to uncovering your roots during an event Feb. 18. 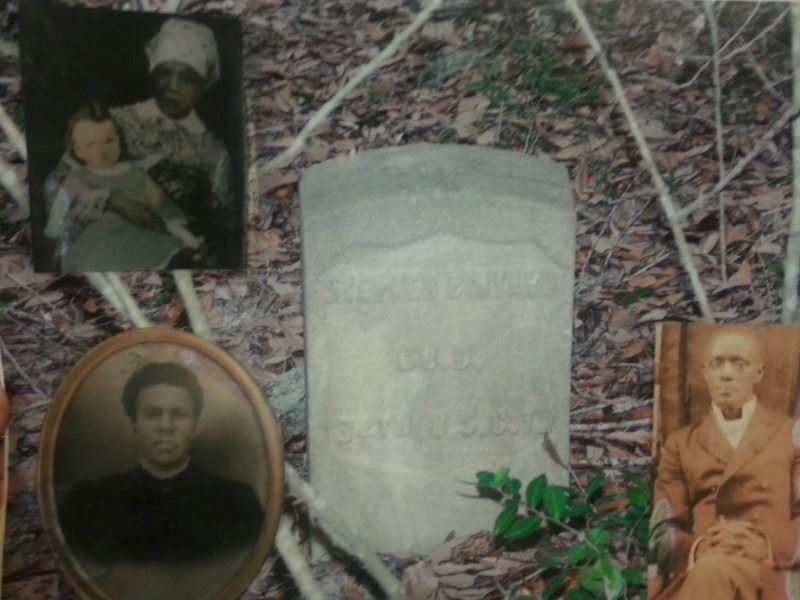 Kimberly Morgan and Akosua Moore will reveal what they've learned about a former slave and his many descendants through family lore, government records and library materials during a lecture presented by the Beaufort History Museum and the Beaufort County Library. The lecture will be at 1 p.m. at the library's St. Helena Branch, 355 Jonathan Francis Sr. Road. The Beaufort History Museum is participating in the new “Experience Beaufort Museum Pass” program offered by the Beaufort Inn. Guests at the Inn will receive a pass offering complimentary admission to BHM and to the Verdier House and the Santa Elena History Center. Museum pass can only be redeemed during guests' stay. Museum pass cannot be redeemed for cash. Museum pass can only be redeemed at each location during their hours of operation; please visit websites to check their hours. The inn is at 809 Port Republic St., just around the corner from the Beaufort History Museum. For information, call the Inn at 843-379-4667 or email frontdesk@beaufortinn.com. Second Annual Living History Encampment, Saturday March 4th! Our Second Annual Living History Encampment will be held Saturday March 4th, 9am-5pm, in the Arsenal Courtyard. Union forces who occupied Beaufort during the Civil War after the Battle of Port Royal Sound (Nov. 7, 1861) will be brought to life by more than 20 re-enactors arriving from several states. They will stage an encampment in the walled courtyard space and provide a unique opportunity for people of all ages to interact with the soldiers and to learn first hand how life was lived in Beaufort during the Civil War. This is a free event with donations gratefully accepted. The Museum is partnering with other Beaufort organizations, including the Beaufort County Library, to plan and conduct the weekend’s educational events. Beaufort, SC – January 4, 2017 – This is the time when people make New Year’s promises and many resolve to give more of their time in service to the community. Those who are interested in history, enjoy interacting with visitors and have a few hours each week to spare volunteering for a worthy organization in a dynamic setting may want to investigate the new Volunteer Greeter Program at the Beaufort History Museum. The BHM Volunteer Greeter’s role is to make initial contact with patrons, aid the Docents by directing visitors to exhibits or existing tours, answer general, non-history related questions about the museum, collect visitor information and take tickets. The requirements for becoming a Volunteer Greeter include joining the museum, attending a two-hour training session, being available for duty at the Museum approximately six hours per month and volunteering for duties at occasional special events. As part of the training greeters will “shadow” a seasoned Docent/Greeter for a minimum of 3 hours prior to working a scheduled shift. They will not be able to educate the Museum’s patrons or tell the stories of our local history unless they also attended the more extensive Docent Training courses. The first Greeter Orientation Class is January 18 from Noon – 2 pm at the Museum. · January 18 - Class 1 - 8:30 -11:30 am - Docent Informational Orientation to be followed immediately by the class. Beaufort History Museum, located in the Arsenal in Beaufort’s historic downtown, has evolved to focus specifically on the history of the Beaufort District. It strives to manage and display artifacts and documents held by the City of Beaufort, telling the compelling stories of this area from the early 16th Century until modern times. The Arsenal address is 713 Craven Street. BHM’s hours of operation are 10:00 AM – 4:00 PM Monday – Saturday. Docents are on duty to provide information and conduct tours. A donation of $7.00 per visitor ($6.00 for Seniors) is required. Children and active military are admitted free of charge. Please visit the website at www.beauforthistorymuseum.com or BHM’s Facebook page for updates and news from the Museum. The Reconstruction Exhibit at the Beaufort History Museum has taken on a special relevance in light of the growing interest in historic tourism and the importance of Reconstruction in Beaufort County. Congressman Jim Clyburn and members of the National Park Service toured various local sites in Beaufort County recently to evaluate the possibility of designating the County as a national monument to the Reconstruction Era. During Reconstruction, the period immediately following the Civil War, most of the South was suffering from devastation and upheaval. But due to the enterprising spirit of newly freed slaves and an overlapping series of propitious events, Beaufort County and the Sea Islands were propelled into a period of recovery, resurgence and prosperity. Reconstruction in Beaufort began earlier than in other areas in the south. 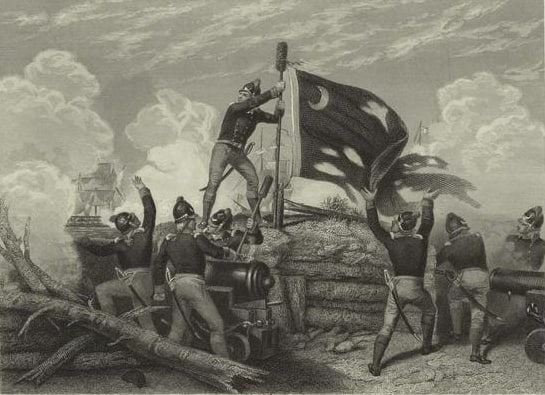 Following the Battle of Port Royal Sound in 1861, Union troops occupied Beaufort and established headquarters, supply centers and medical facilities. Local white planters fled. With the Civil War still raging, 10,000 slaves were liberated in the Beaufort District. Schools were for whites only and it was illegal to teach slaves to read. Northern missionaries established the Penn School and Mather School to educate the newly freed men, women and children as part of the Port Royal Experiment. Robert Smalls, who was born a slave here, helped lead Beaufort through Reconstruction. Business boomed. The sources of prosperity were timber, phosphates and shipping, all spurred on by the completion of the Port Royal Railroad in1873, which provided the means to more efficiently transport products into and out of the area. Former slaves came to own land as freedmen and agriculture flourished. With these stories as the backdrop, the Exhibit concentrates on four main areas: Education, Politics, Commerce and Agriculture, presenting photos and artifacts to support the narrative.